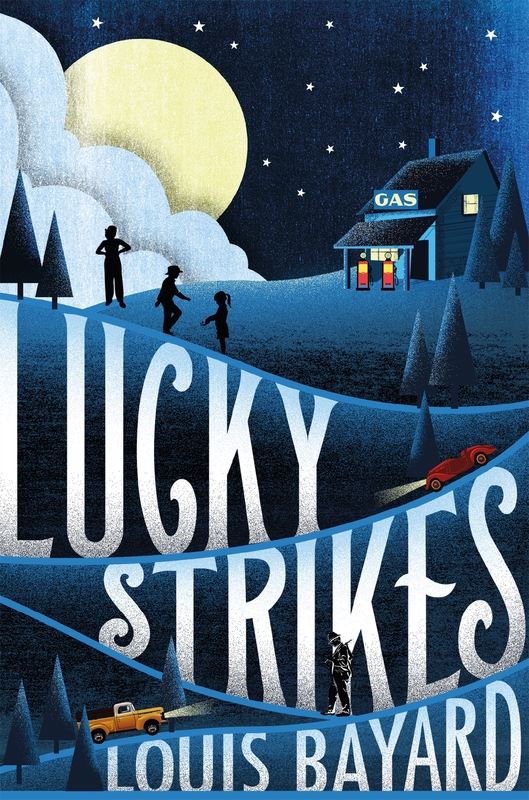 The item Lucky strikes, Louis Bayard represents a specific, individual, material embodiment of a distinct intellectual or artistic creation found in Farmington Public Library. With her mama recently dead and her pa sight unseen since birth, Amelia is suddenly in charge of her younger brother and sister-- and the family gas station. To keep a competitor at bay and keep her family out of foster care, Melia must come up with a father-- fast. When a hobo rolls out of a passing truck, Melia grabs opportunity by its beard. Can she convince the town that Hiram is her long lost father, and keep the family together until she comes of age?